GSO's 1.25" 90-degree diagonal features an image erecting Amici prism that allows you to look into a telescope at a 90 degree angle. It produces an image that is oriented properly, which means that the image is upright and correct from left to right (i.e., a correct, non-inverted, non-reversed image). This is a great diagonal for daytime terrestrial use with small telescopes or spotting scopes. It can also be used for astronomy applications, especially when you would like to match the orientation of the star field with "correct" star maps and charts. The clear aperture is 20.0mm. The prism housing is made of precision molded ABS plastic and the two end barrels are precision machined from aluminum. 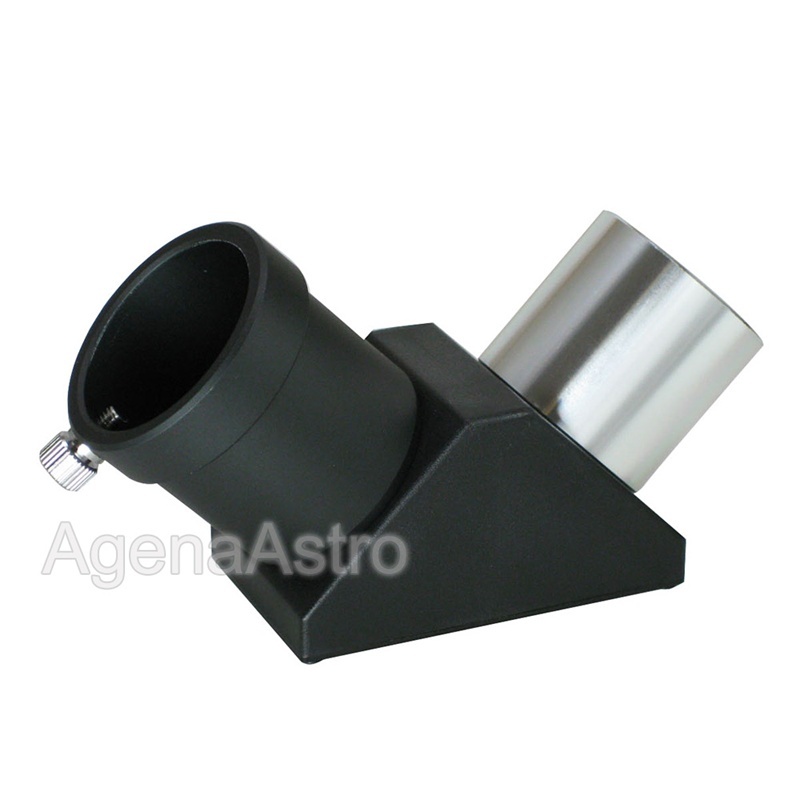 The 1.25" nosepiece is threaded to accept standard 1.25" astronomy filters. The diagonal comes with 2 end caps and weighs 3.8oz. Made in Taiwan.